Tying the knot is so on-trend! Knotting your shirts and dresses makes your pieces more versatile. Whether new or old, tying a knot gives you a fresh look. Now, just because you can knot a top or a dress doesn't mean you should. 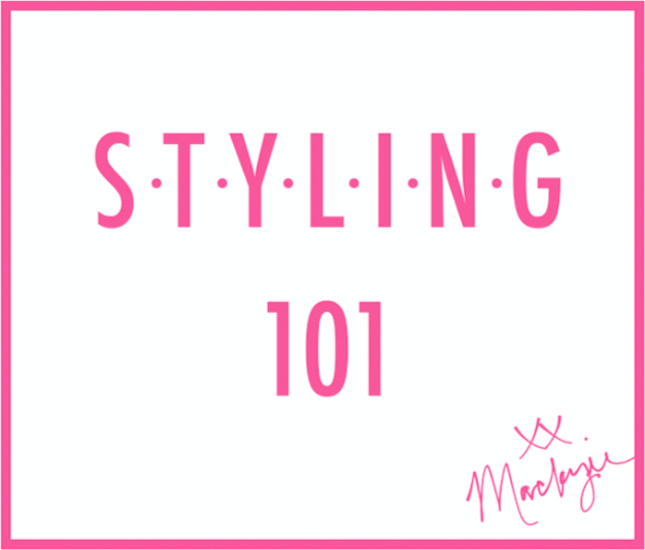 It's important to know what pieces should be knotted and how they should be styled. But never fear, I am here to teach you the basics of rocking the knot! For any of the tops below, here is the breakdown. Take the part of the shirt/dress where you want to tie and twist it around your finger to create small ‘bunny ear’. Take the ‘bunny ear’ with the tip of your finger and twist it around the base of the knot and then you pull through the hole you have created by doing the steps above. Make sure your knot is not too big or it won't look right! The perfect knot is one that gives you shape and makes a statement. Due to the natural flowy style of our Monogrammed Boyfriend Dress, this item is the perfect piece to tie the knot with. A low knot on the side of the dress will the dress a fitted look. I would recommend wearing flats with the knotted look for an effortless spring or summer daytime OOTD! The Boyfriend T-Shirt is one of my personal favorites because it can be worn so many ways and with so many accessories! It is a great layering shirt, it can be dressed up or down and is so flattering! My favorite way to wear the boyfriend t-shirt is with a pair of high-waisted jeans (definitely white for the warmer seasons) with a tied knot on the side. Wearing the shirt this way will show off your cute high-waisted bottoms and define your figure! This look would be best completed with some wedges and a cute bag for a brunch date or cute dinner out! Everybody needs a classic button-down shirt, and if you don’t have one yet, you are definitely missing out on a wardrobe essential! A great button down will look office-chic tucked into a skirt or effortlessly casual with your fave pair of skinny jeans - the list could go on! The perfect button down will also be one that fits you nicely but is slightly forgiving, so you can really wear it with anything. This one from J. Crew is PERFECT! A great look for the spring is a pair of shorts, or skirt, with a cute button down, tied in a knot in the front! Pair this top with these shorts or jeggings. For athleisure wear or a cute casual look, tank tops are the BEST knotted! There are so many different ways to wear a tank top, so you really can’t go wrong with incorporating one into your spring/summer wardrobe, especially one with a looser fit! With a looser fit tank top, it is easier to knot and to create those multiple looks. I like how a side knot looks with a pair of running shorts or over a bathing suit! Perfect for all of those spring games, this t-shirt is a must-have! Its forgiving fit and ¾ sleeve are such a crowd favorite, and with the multiple color options, it can really go with anything! This season throw it on with your favorite denim shorts and give it a little knot on the side, grab your favorite baseball hat and you’re good to go! Such a cute way to add a little something to your looks! Love the knot!